406 Window Co. was formerly known as Montana Window & Door. Our name changed so we could differentiate ourselves. As a local window supplier, relationships with our customers come first. We focus on providing true consultative services to our customers. We provide the highest quality and most energy efficient products. We supply windows and doors for any type of design. Too often in our business, the salesperson is trained to look at margin and profit. Our focus is on the customer needs, not our own. We believe we have the best products for anyone, any project, large or small. Sierra Pacific Windows; Sierra Pacific Makes a very robust and strong product. Our motto for their product would be as follows; "Prepare for the worst, while still having the best!" Hailstorms are prevalent in our area, and these windows hold up so well, with 0 Hail claims against them. Also, the exterior finish is Powder Coat, which is very green, and long lasting. Alpen High Performance Products; Alpen produces the most energy efficient products in the world. Also, the frame is made of pultruded fiberglass, which is the strongest/smoothest fiberglass, and is very contemporary looking. If you want energy efficiency, and want to pay the extra dollar, you will not be disappointed with the result. You can really feel the difference. Provia Entry Doors; Provia gets the above and beyond award. Their product comes prefinished and is everything our homeowners would want in a door. Beautiful, energy efficient, with great sealing power! For more than ten years, Big Sky Exterior Designs has been providing the residents of Billings, Forsyth, Miles City, Glendive, and surrounding areas the best in exterior solutions. As a family owned and operated company, we place an emphasis on our customers’ desires, treating them as a part of the family through the entire process. From your initial call to the final touches of your exterior project, you can count on our friendly service. Whether you are looking for new windows in Billings MT, or need vinyl siding for your home in Glendive or Dickinson, we have the highest quality products on the market. If the recent hail storm has caused storm damage to your roof, our trained roofing contractors can help with roof repair and replacement. 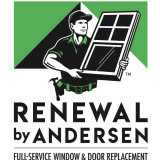 Renewal by Andersen® of Montana is proud to serve a wide area of Montana with superior replacement windows and doors that stand the test of time. Not only are our windows and doors protected by one of the strongest warranties you will ever find, they offer an unparalleled value when it comes to energy efficiency. On top of all that, they are beautiful and can truly transform the look of your home. Come to us for a wide selection of top-notch replacement windows and doors, plus the expert design and installation services you’ve come to expect from such an industry leader. 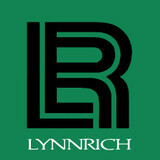 Lynnrich Seamless Siding, Windows, and Doors has been serving the Montana & Wyoming regions for over 30 years. We offer 5 star seamless steel siding, custom windows, exterior doors, metal roofs, seamless gutters, soffit, and fascia. BUSINESS FOR 30 YEARS, HAVE OUR OWN WINDOW AND DOOR INSTALLERS. SELL TO HOMEOWNERS AND CONTRACTORS. NEW CONSTRUCTION AND HOME REMODELS. CAPABLE OF LEAD TESTING AND LEAD ABATEMENT. 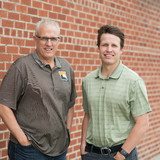 Win-Dor Industries is Billings’ best source for quality windows, doors, siding, and decking. 2016 marks our 30th year in business, we have taken great pride in being able to offer our customers premium products with exceptional service. Benchmark Sash & Door has been supplying Billings and surrounding areas with quality windows and doors for over 10 years. We feature Windsor Windows and Simpson Doors. Our goal is to be easy to do business with. We are not only committed to building quality products, we are also devoted to building lasting relationships. We provide Free Estimates for your New Construction, Home Remodeling and Storm Replacement projects. Come visit our new showroom with several displays, window styles, including awnings, casements and double hung windows with different interior casing, exterior and variety of custom options. With quality services and great customer care, it’s easy to see why Becker’s Glass Shop has been the Billings, MT, choice for custom glass for more than 50 years. With a variety of services available, no project is too big or too small for our experts to handle. Whether you want to enclose your shower with a frameless door or replace the glass in a picture frame you love, you’ll find the services you’ve been looking for at Becker’s Glass Shop. 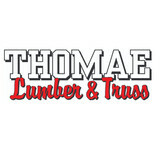 Windows, Doors, Siding, Decks sales and installation. Whether you’re building a new Billings home, remodeling an old one or just replacing a few windows that are past their prime, your window dealer in Billings, MT will help you pick the right windows for your needs, home style and budget. Windows come in so many sizes and types that expert advice and direction is invaluable in helping you make the best decision. These pros can also help you with custom window designs that complement your space better than something ready-made. Lastly, if you are interested in doors with windows, these experts are also knowledgeable about sliding doors, French doors and other paned portals. Your window pro might work closely with other Montana builders and remodelers as well. Here are some related professionals and vendors to complement the work of window sales & installation: Window Treatments, General Contractors, Home Builders, Specialty Contractors, Siding & Exteriors. Find a window dealer on Houzz. Narrow your search in the Professionals section of the website to Billings, MT window dealers. You can also look through Billings, MT photos to find examples of windows that you like, then contact the window professional who worked on them.